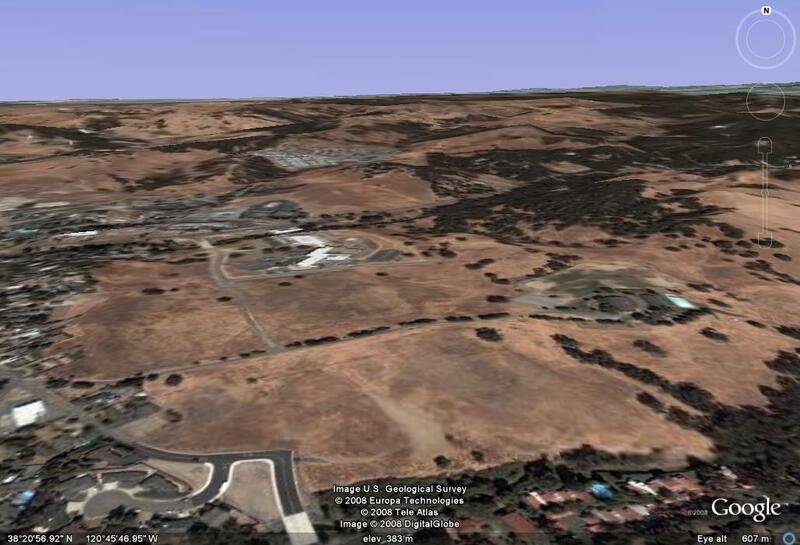 Aeriel View of Property from the South. 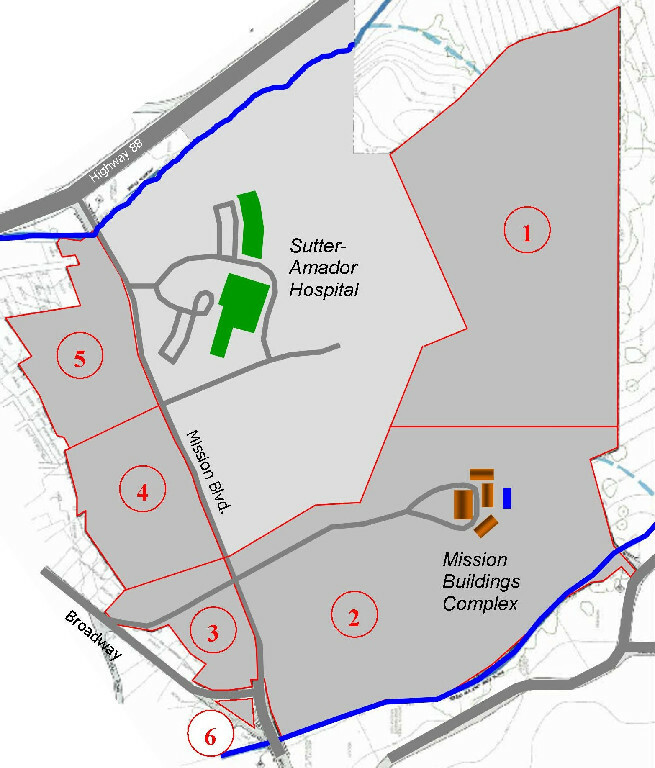 Sutter Amador Hospital is center-left. Broadway Camp Road entrance at lower left. Camp Road cuts across middle. Mission Buildings and Pool are center far-right. Broadway Bridge and south end of future Mission Blvd. extension at bottom-center. Courtesy GoogleEarth.